It feels like winter is getting ready to set in here. We are having cold nights (some below freezing), but most days have been sunny and not too cold. We have had some days that were cold and overcast–even a few flakes of snow. But, it has been a nice, mostly dry fall, with a few good freezes. The frosts have made the carrots in my garden sweet, the collards tender. I feel like I am invoking my Reid grandparents by talking about the weather and its nuances. Weather was always a good topic of conversation in their home because they were farmers and weather was extremely important to their livelihood. Our little family recognizes and changes with the seasons still, though we are not farmers. 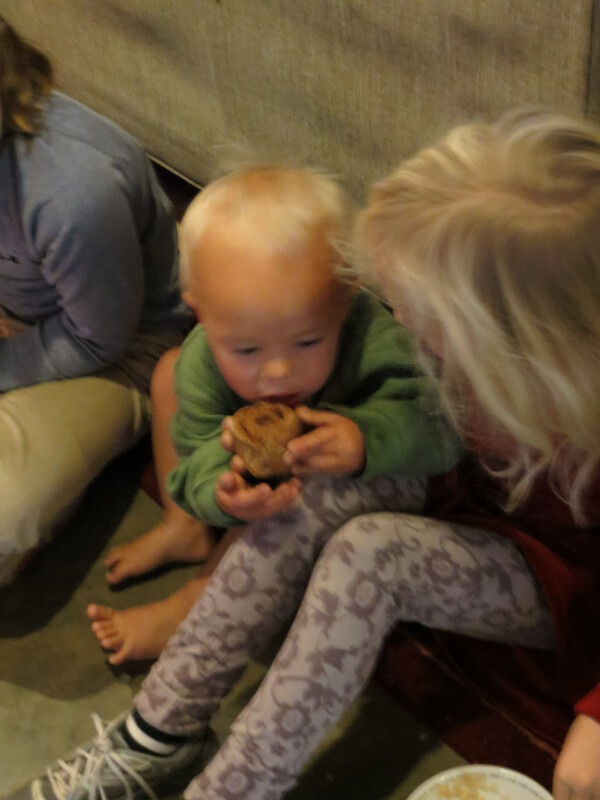 Winter brings us more inside, to indoor activities, fires in the woodstove, and baking. There is always lots of searching for shoes (and hats, mittens, coats, and sweaters) if anyone wants to go outside, too. Very different from the last 6 months when shoes were often optional, and no over-clothes were needed. Our children enjoy the tradition of building a fire in the winter. 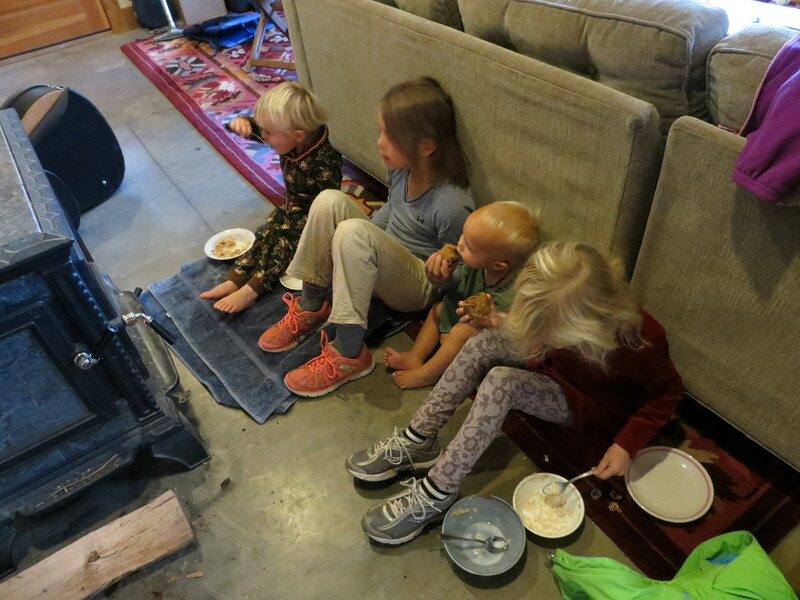 Our house stays very warm on sunny days because of the passive solar heating, but William and the children really enjoy a fire in the wood stove. 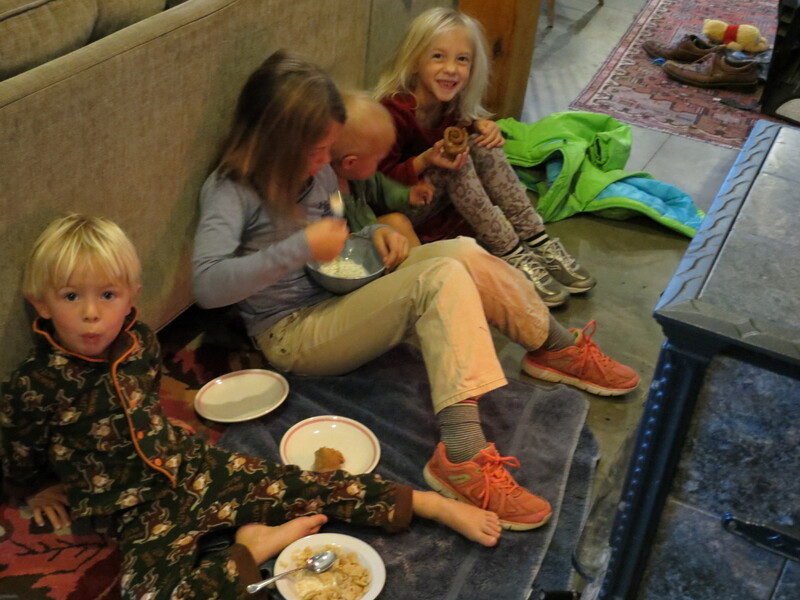 It is a fun place to gather on cold mornings to eat breakfast, or on chilly nights when getting ready for bed. I like to sit and knit or read in front of the stove. Our living room furniture will make a move soon as we shift our focus more around the stove. I am always aware of the danger of the hot glass on the stove–and with a baby in the house, I try to be very careful.